I barely drink soda. Too artificial and overloaded with sugar. But I love the crisp, refreshing pop of sparkling water. I’d like to share my favorite winter drink that helps to ward off colds and boost your immune system all while keeping you hydrated. 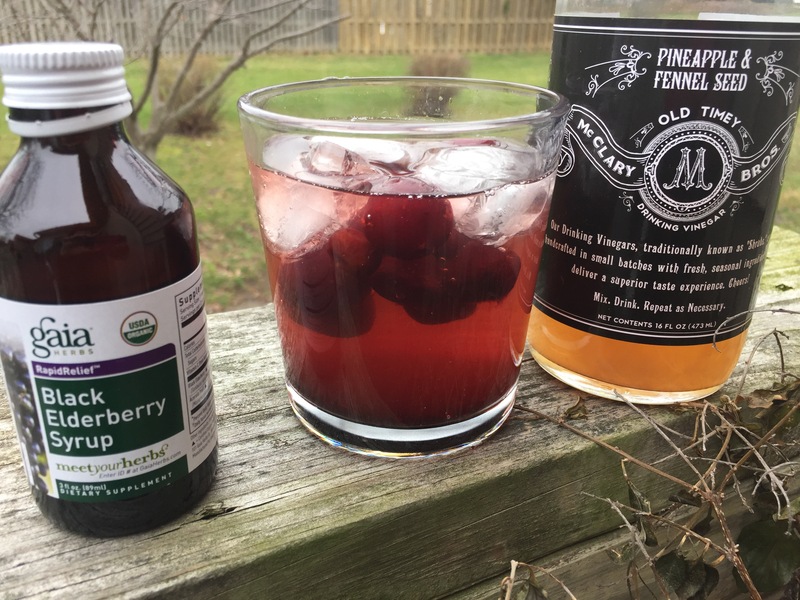 I combine my vinegar with elderberry extract, added in for sweetness and additional health benefits. 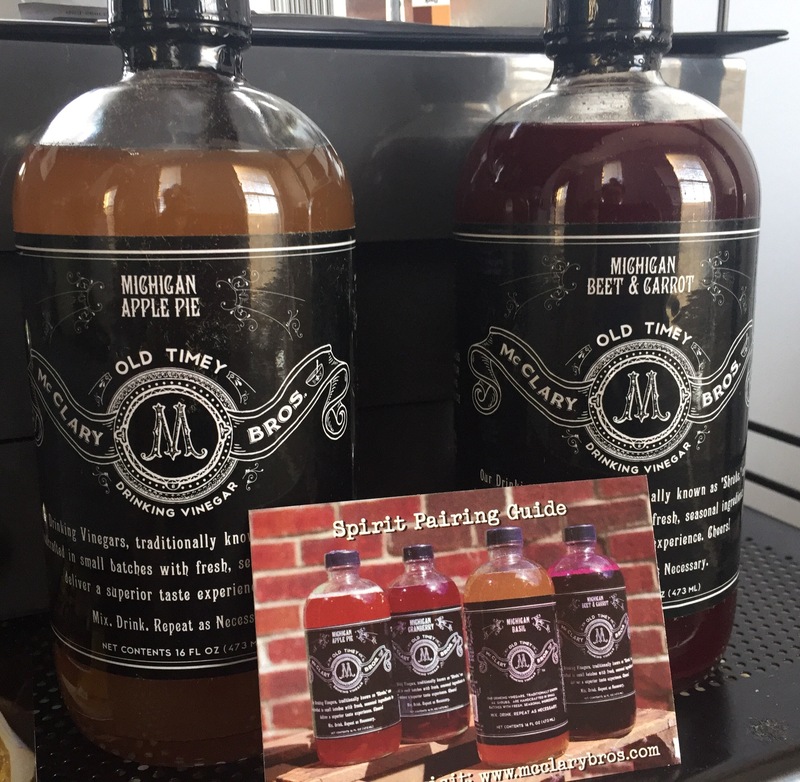 McClary Bros makes the most delicious line of drinking vinegars, my personal favs are: Apple Pie, Pineapple Fennel and Beet & Cartot. You can add them “as is” since they are a complete “shrub” to go with sparkling water or alcohol; but I’m loving the combo below! Jess McClary first founded McClary Bros., named for her 4-year-old twin boys Jack & Ben, as McClary Bros. I love supporting businesses started by Moms!! Not to mention they are hand-crafted in small micro-batches to showcase the fresh flavors of the season. 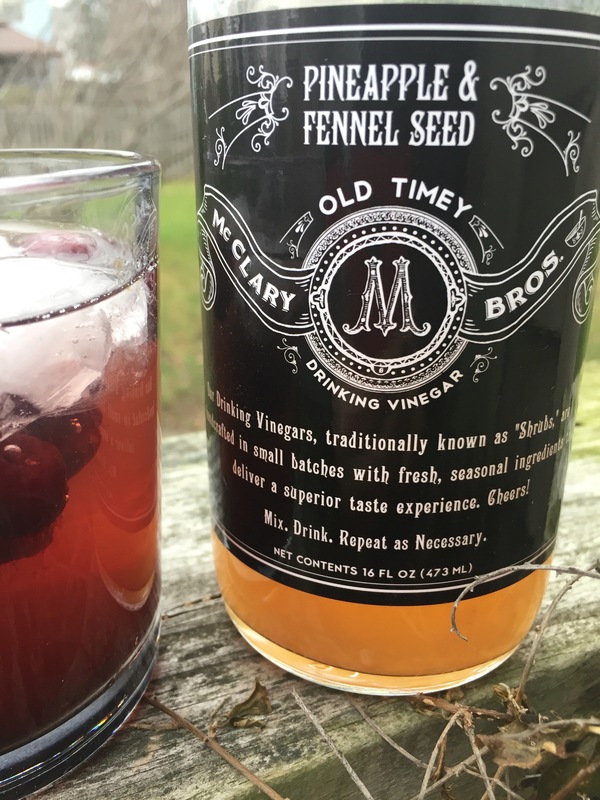 McClary Bros use old-fashioned cold-steep preservation techniques to bring out the richest, most-complex flavor profile possible. And of course just a quick Google search for apple cider vinegar exposes the many benefits! 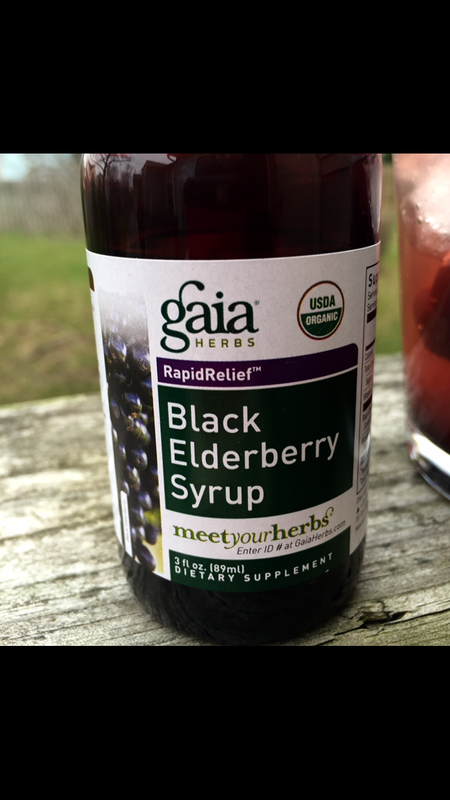 My favorite Elderberry Syrup includes natural Vitamin C from Acerola cherries, contains no artificial flavors or colors, no preservatives, and no high fructose corn syrup.Gaia Herbs uses Certified Organic European Black Elderberries to create a juice concentrate that provides the equivalent of 14,500 mg of fresh elderberries per serving. I truly believe that taking elderberry syrup each night has kept me from getting sick. 1::: In a glass, stir together your elderberry extract and vinegar. Put the cherries on top. Add ice. 2:::Top off with plain sparkling water and enjoy! Next Healthy Hair – how to stay frizz-free and polished on a budget!